Paediatric Asthma Emergencies Surge in February – Are Your Patients Back-to-School Ready? Achieving a healthy weight gain in pregnancy. 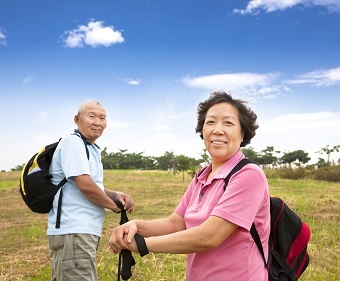 Over the course of 10 to 13 calls, qualified health professionals support participants to set their individual lifestyle goal, overcome barriers and setbacks, maintain motivation and achieve long-term lifestyle changes. An independent evaluation found that participants who completed the coaching program lost on average 3.8 kgs and 5.1cm off their waist which significantly reduces their risk of developing cardio vascular disease, type 2 diabetes, musculoskeletal disorders and some cancers. General Practitioners and Health Professionals are encouraged to refer patients they think would benefit from the Get Healthy Service. With the patient’s permission, you will be kept informed of their progress with the provision of reports from the Service at three and six month intervals. *Where possible, SNPHN promotes the use of Secure Messaging for sending of health referrals in line with RACGP’s position statement on the use of secure electronic communication within the health care system. Private medical practitioners (GPs and some medical specialists providing Medicare-rebateable services in private practice) and their reception staff can access the Free Interpreting Service to communicate with patients who have limited English. A list of eligible medical specialists can be found here. 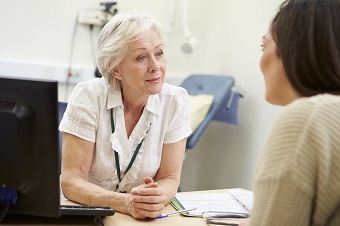 Despite the Free Interpreting Service being readily available and accessible, research undertaken by the Australian National University Medical School suggests that less than 1 in 100 medical consultations use the Free Interpreting Service for patients with limited English proficiency. This may be because patients opt for family/friends to interpret for them, or due to the misconception that registering for the service is time consuming and administratively burdensome. This can have serious risks for both the patient and the doctor. CLICK HERE for a summary of the research. TIS National provides an eligibility calculator to assist in determining eligibility. You can register with TIS National by completing the client registration form at https://tisonline.tisnational.gov.au/RegisterAgency. If you’re in NSW and need free information resources for people with Hepatitis B or C, please go to the Hepatitis NSW Resources Library. Treatment Update Sheets provide an overview of the latest treatments for hep C. These sheets are suitable as handouts to clients and patients. They have been amended to take into account the current options for Genotype 4. Important: Please ensure that you discard any previous versions of the Treatment Update Sheets. This letter is to bring to your attention information that may assist you in managing patients who are current or former members of the Australian Defence Force and who may have experienced sexual or physical abuse during their defence service. The Australian Government has implemented a number of measures to better assist members or ex-members of the ADF who experienced abuse during their defence service. The Department of Veterans’ Affairs (DVA) administers the Non-Liability Health Care (NLHC) program which provides for treatment of certain mental health conditions. Whilst care for survivors of abuse is a particular focus, anyone who has ever served in the permanent forces of the Australian Defence Force is now eligible for free treatment through the NLHC program, for certain mental health conditions, without needing to prove that the condition is linked to service, and without needing to lodge a compensation claim. DVA will need to confirm the applicant’s identity and service, but NLHC may be accessed by current or former ADF members without the need to complete an application form – an emailed or phoned request is all that is required (details below). Further, a diagnosis of one of the above conditions is no longer required prior to being approved for NLHC treatment. However, a diagnosis from a general practitioner, psychiatrist or clinical psychologist must be provided to DVA within six months of approval. This allows time for a thorough mental health assessment and diagnosis process, and for treatment to commence. Once a diagnosis of one or more of the above mental health conditions is provided, treatment approval becomes permanent. Treatment is provided through a DVA Health Card – For Specific Conditions (White Card), which also allows the holder to access counselling services through the Veterans and Veterans Families Counselling Service – VVCS. Health providers who would like to find out more about NLHC, or confirm a White Card holder’s eligibility for treatment, can call the DVA Health Provider Line on 1300 550 457 (Metro) or 1800 550 457 (Non Metro). To assist a patient to make an application, please email NLHC@dva.gov.au or phone 133 254 (metropolitan) or 1800 555 254 (regional). Veterans who are in need of immediate mental health and wellbeing support can seek help from the VVCS. The VVCS provides free, confidential, nation-wide counselling and support for veterans, eligible current and former ADF members and their families and can be contacted at any time on 1800 011 046. Ahead of the start of the 2017 school year and the ensuing surge in asthma emergencies, the National Asthma Council Australia encouraged doctors to check their paediatric patients’ asthma. Read the media release below for some clinical tips on managing paediatric patients. Are Your Patients Back-to-School Ready? Click here to read the full media release from National Asthma Council Australia. NSW Health has confirmed the first Mycobacterium chimaera case in the state following exposure to the rare infection from open heart surgery equipment. Last year NSW Health contacted patients who may have been exposed to the M chimaera infection from open heart surgery equipment used in four NSW public hospitals. The equipment, used in countries around the world, is thought to have been contaminated during manufacture. Since then one NSW patient, a woman in her 80s who underwent surgery at Prince of Wales Hospital in 2015, has developed the infection. NSW Chief Health Officer, Dr Kerry Chant, said the patient has since been treated with the appropriate antibiotics and is responding well. “NSW Health responded to international advice and sent letters to patients who underwent open heart surgery between January 2012 and August 2016 at Prince of Wales, St George, The Children’s Hospital at Westmead, or Sydney Children’s Hospital Randwick. These letters informed patients about the risk, symptoms and what to do if concerned,” Dr Chant said. “We’re asking patients to particularly watch out for the following symptoms: persistent fevers, increasing or unusual shortness of breath, and unexplained weight loss. Dr Chant said experience overseas had shown that when an M chimaera case is reported in a facility it may signal an increased risk to other patients who had heart surgery in that facility. “We’re now providing updated advice to all GPs and relevant specialists,” Dr Chant said. “NSW Health is continuing to monitor heart surgery patients in NSW and keep abreast of international responses and advice. South Eastern Sydney Local Health District –1800 875 526 (8.00am – 5.00pm until Friday 3 February). For further information please see the NSW Health Fact Sheet. Media contact: NSW Health Public Affairs Unit 02 9391 9121, after-hours 02 9962 9890 or email media@doh.health.nsw.gov.au. Click here for further information for NSW General Practitioners. The University of New England is undertaking some research which looks at understanding General Practitioners’ experiences and difficulties in treating psychological injuries in NSW under WorkCover and CTP. provide practices with access to national data on accreditation performance and enable benchmarking. Under the Scheme, general practices seeking accreditation must be assessed by an approved accreditation agency. The contact details of the approved agencies are listed in the link below. The RACGP is developing the 5th edition of the RACGP Standards for general practices (the Standards) which will be released in October 2017. Practices will be able to use either the 4th or 5th edition Standards up to October 2018. From November 2018, all practices undergoing accreditation will be assessed against the 5th edition Standards. Further information on the development of the Standards is available at www.racgp.org.au/standardsdevelopment. I am writing to introduce myself and to let you know work is currently underway on the National Cancer Screening Register a Commonwealth Government initiative being implemented by Telstra Health. I am a GP with my own practice in Point Cook, I am a GP Advisor at Western Health Victoria and Telstra Health’s GP liaison in delivering the Register. 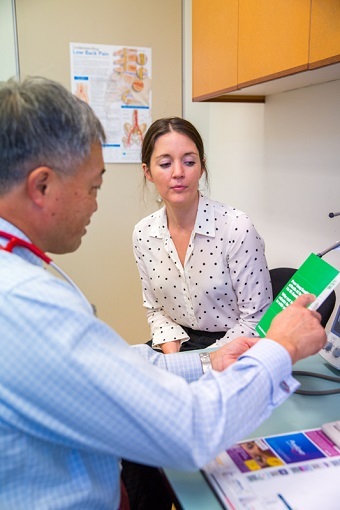 As GPs, Primary Care Practitioners and Practice Managers, we play a pivotal role in supporting our patients to take up the benefits of large public health programs like cancer screening. In May 2016 the Department of Health appointed Telstra Health to develop and operate the National Cancer Screening Register (the Register) to support the renewed National Cancer Screening Program and acceleration of the National Bowel Cancer Screening Program. The Register is expected to manage the cancer screening records for more than 11 million Australians, replacing the existing National Bowel Cancer Screening Program Register and up to eight separate state and territory-based cervical screening registers. On 13 October 2016 the National Cancer Screening Register Bills 2016 were passed through the Australian Parliament paving the way for operation of the Register and data migration from the existing cervical and bowel screening registers. How will the new Register help? Approximately 4,000 people die from bowel cancer and 250 women die from cervical cancer each year in Australia. Building on Australia’s capacity to screen for and prevent these cancers remains a national priority. The Register will create a single record for each participant in our national screening programs across the country and will capture screening events regardless of the location in which they occur. GPs will be able to use their clinical software, such as Medical Director or Best Practice, or an online portal at any time to quickly and easily identify what screening is due or overdue, results requiring further action and historical test results. Your patients will also be able to use the participant portal to update personal information and view when their last screening occurred. GPs will be able to order FOBT kits using the portal and an Australian-based contact centre will be available for Register support. The Register will invite participants to undertake an initial screen and provide reminders about follow up screens for participants and their practitioners. This will help ensure participants continue along the screening pathway when their test results are positive. The Register will have the capability to utilise a variety of communication methods including a web portal, email, SMS communication as well as traditional mail correspondence. The form of communication will depend on the type of information that needs to be communicated and your, and your patient’s preference. The Register team is led by Professor David Ashbridge, a General Practitioner and Health Executive. Our team also includes medical practitioners, cancer screening program experts, health information managers and epidemiologists. 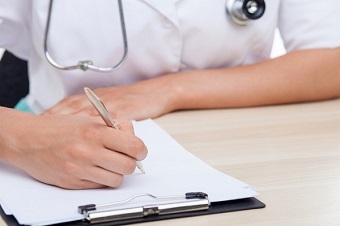 We have commenced consultation with peak bodies including the Royal Australian College of General Practitioners and the Australian College of Rural and Remote Medicine to ensure the Register is built to meet the needs of GPs. We will continue to liaise with these and other organisations as we develop training for GPs on notifying the Register and information on new technologies that will be available with the Register, such as electronic forms embedded in GP software. The Register is on track to support the National Bowel Cancer Screening Program from 20 March 2017 and the National Cervical Screening Program from 1 May 2017. This coincides with the introduction of the new MBS items supporting 5-yearly HPV testing and reflex LBC tests. We need your help to improve the effectiveness of drug-drug interaction alerts in electronic prescribing systems. This study is being conducted by researchers at Macquarie University, in collaboration with Australian hospitals, GPs and pharmacists. The purpose of this survey is to identify the best way to present information to doctors and pharmacists in a drug-drug interaction alert. How can you help? Please complete the 4-question survey below by 1 March, 2017. If you have any questions about the study, please contact Dr Melissa Baysari on (02) 9850 2416 or at melissa.baysari@mq.edu.au. Choosing Wisely Australia released a new report on the campaign’s implementation since launching last year. The report demonstrates strong engagement by Australia’s medical profession and consumer advocates and a strong appetite in the community for an ongoing conversation about the appropriate use of tests, treatments and procedures. For more information on which tests, treatments and procedures to question, visit http://www.choosingwisely.org.au/recommendations.